Ford is known for reliability — and the Ford Focus is no exception. Over the years, it’s received several upgrades, but remains one of the industry’s top hatchbacks and sedans. Newer models come equipped with features like a cargo management package, a 4-speaker sound system, speed-sensitive volume control, and an available MyFord Touch Package. Need extra cargo room? Aim for a used Ford Focus Hatchback; recent models have nearly 50 cubic feet of cargo room. Currently, Cactus Jack's Auto has 12 Ford Focuses for sale. Find yours below, then schedule a test drive near Mesa and Surprise. 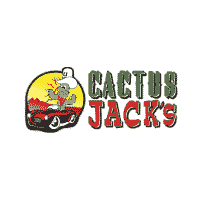 Buy a Used Ford Focus for Sale at Cactus Jack's Auto Near Glendale! Contact us with any questions about the used Ford Focus models above or our services!